Saw a disappointing article, written by a Catholic who should know better, implying that Pope Francis has been ineffective in spreading the faith. 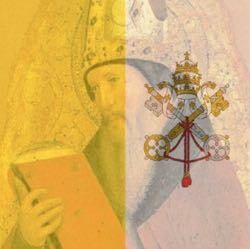 Using the history of St. Celestine V who resigned for the good of the Church, the author indicated that Pope Francis might follow his example for the good of the Church. The article was followed by a parade of the typical Facebook comments concerning how bad the Pope is—citing his so-called “liberal” stance on issues, which basically means he takes a stand on the Church social justice issues. 8 However, if you fulfill the royal law according to the scripture, “You shall love your neighbor as yourself,” you are doing well. 9 But if you show partiality, you commit sin, and are convicted by the law as transgressors. 10 For whoever keeps the whole law, but falls short in one particular, has become guilty in respect to all of it. 11 For he who said, “You shall not commit adultery,” also said, “You shall not kill. Even if you do not commit adultery but kill, you have become a transgressor of the law. 12 So speak and so act as people who will be judged by the law of freedom. 13 For the judgment is merciless to one who has not shown mercy; mercy triumphs over judgment (James 2:8-13). St. James makes a good point here. We cannot claim to be faithful if we are only obedient in some things and ignore the other aspects of our Christian obligation. We do well to defend life and the sanctity of marriage. Nobody denies that. But if we ignore the Church moral teachings on other issues that are not to our liking, we are also Cafeteria Catholics, behaving shamefully and causing scandal to others. Now, that doesn’t mean that we have to embrace the opposite error—that Catholic Social Teaching = embracing political liberalism, as that one reprehensible quote of Sr. Joan Chittister claimed or anti-Francis conservatives claim. Nor does it mean that failing to support the homeless is the same moral level as killing the unborn. What it means is that if we want to be faithful Catholics, we have to live in a way that does not choose to ignore the teachings on issues we find uncomfortable. In other words, while you can have disagreements on the best way to treat the unborn, the poor and the immigrants and still be a good Catholic—but you can’t be a good Catholic while acting in a way Church teaching forbids. I think there is a dangerous attitude among some Catholics—one which says, “Why does the Church worry about X when Y is so much more serious?” It’s dangerous because it leads Catholics to think, “As long as I don’t do what they do, I’m good enough.” This is a mindset where citing Matthew 7:1 does fit. When we focus on Y (which we don’t do) being more serious than X (which we do), we’re focussing on the mote in our brother’s eye and ignoring the beam in our own. No doubt sins like murder do greater harm to the victim than sins like defrauding a worker of his wages. But both of them fall under the category in Scripture of “Sins that cry out for vengeance.” The fact is, the most serious sin is the mortal sin which condemns one to hell. The person who attends Mass daily, says dozens of rosaries and reads many religious works, but does not apply the faith to how they live their life will answer to God for it. Likewise, the person who supports social justice, but acts contrary to Church teaching over sexual morality will answer to God for it. When some people try to contrast Pope Francis with his predecessors, I think they misunderstand the point of the teachings of both. Yes, St. John Paul II and Benedict XVI did have to speak frequently on the moral issues of abortion and sexual morality. But they did not neglect the other aspects of Church teaching—they simply did not receive the same level of coverage. Today, Pope Francis covers the same material, but now the things he says about life and sexual morality are not covered while what he says about other issues are. (Both Evengelii Gaudium and Laudato Si had powerful things to say about defending life and family—but most people don’t know that). No, St. John Paul II and Benedict XVI did not neglect the issues of social justice. No, Pope Francis did not neglect the teachings on morality. But we did! As we can see, the Church seeks to teach us about the Father’s will. If we will not hear the Church (Luke 10:16), we will not enter the Kingdom of Heaven.